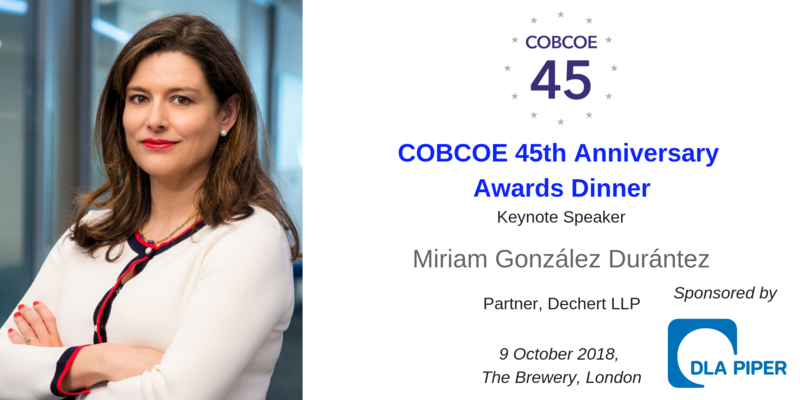 We are pleased to announce that DLA Piper is supporting our 45th Anniversary Awards Dinner on 9 October, at The Brewery, London.The COBCOE Awards Dinner is a highlight of our events calendar and will this year mark our 45th anniversary. It is a rare opportunity for the organisations in our international network to get together, and it is a celebration of their achievements and those of their members. Our special guest speaker for the evening is Miriam González Durántez , Partner at Dechert LLP, is a leading international trade lawyer, and co-chair of their International Trade and Government Regulation practice, advising clients on Brexit, trade policy and agreements, amongst other things. For more information about DLA Piper, please visit their website.